Mona Golabek was the recipient of the 2015 Outstanding Solo Performance award from The San Diego Theatre Critics Circle. 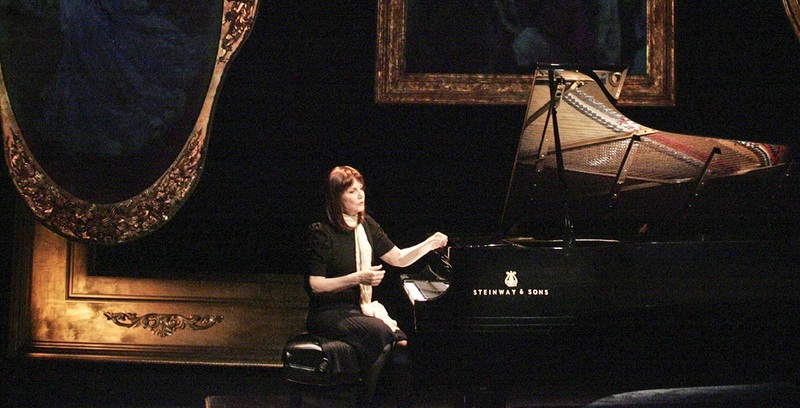 Mona Golabek in "The Pianist Of Willesden Lane"
A San Diego favorite returns! Set in Vienna in 1938 and in London during the Blitzkrieg, “The Pianist of Willesden Lane” tells the true story of Lisa Jura, a young Jewish musician whose dreams are interrupted by the Nazi regime. In this poignant show, virtuoso Mona Golabek returns to the Lyceum Stage to perform some of the world’s most beautiful piano music as she shares her mother’s riveting story of survival. Adapted and directed by Hershey Felder, “The Pianist of Willesden Lane” is infused with hope and invokes the life-affirming power of music. 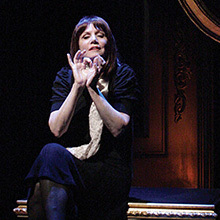 For her awe-inspiring performance, Golabek was the recipient of the 2015 Outstanding Solo Performance award from The San Diego Theatre Critics Circle.